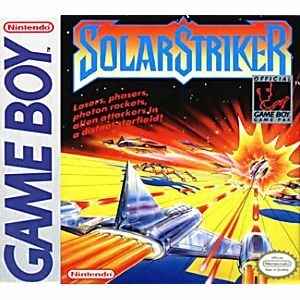 Solar Striker Game Boy Game Cartridge Cleaned, Tested, and Guaranteed to Work! One of my favorite Gameboy games. Its a very simple shooter with basic power ups and a handful of levels with bosses. Some shooters on Gameboy are ports from machines with more pwer, and they're ugly and/or don't run well. 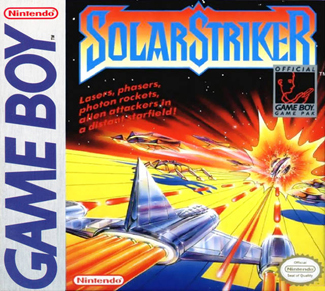 This game was made specifically for gameboy and it looks good and I haven't seen it slow down or mess up any sprites like R-Type constantly does.